Already driven a tank? 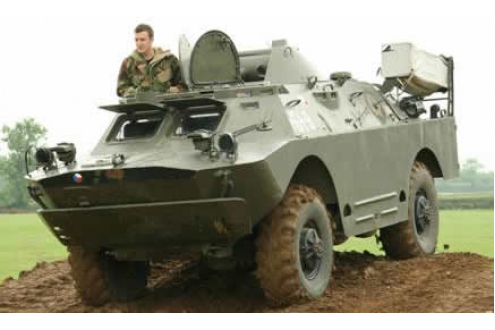 Then maybe you should complete the military experience with our military vehicle driving session! Don't expect a smooth ride as you drive around the course...Look out for the Bailey Bridge! Take your pick out of 5 restored ex-army vehicles, each one with a different driving sensation! Ever wanted to drive a truck? Now is your chance with the 4x4 Bedford MJ! The back bone of the British Army will guarantee to have you smiling as you take it around the course. King of the road! Do you think your big gas guzzeling four wheel drive car can go anywhere? Wrong! The BV 206 Hagglund can go aywhere. Used by HM's elite Special Forces, take it around the track and adapt to strange central pivot steering. It's off to the Eastern battle front now with the Russian BRDM2! This beast was used to detect chemical weapons (you never know what you might find on the track!) If you get on okay on the first lap, maybe you should try driving looking through the periscopes! 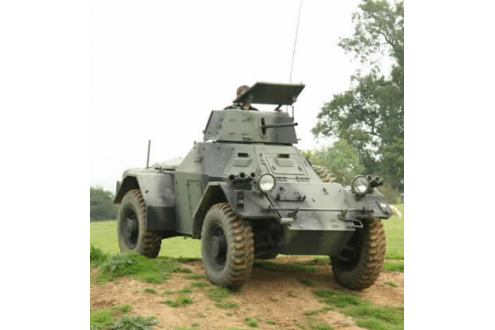 Squeeze yourself into the driver's seat of the Ferret Armoured Scout Car. This one has the strangest driving position you will ever see. Lay back and take it for a spin, easy rider! Last but not least, 17.5 tonnes of hardened steel and no steering wheel! The tank is the final choice. Thunder around the track in a turreted Rolls Royce powered FV432. Extra Passengers - £20.00 per passenger subject to availability. All passengers also gain FREE museum entry!